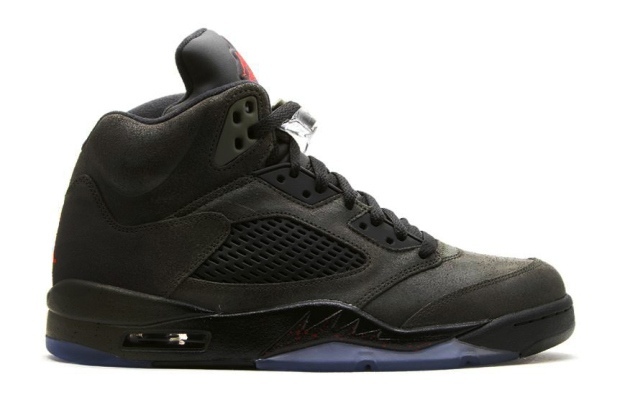 The Air Jordan 5 Retro gets a dark color upgrade for the new season in the form of the “Fear” edition release. Created as a part of the larger “Fear” pack, this edition of the shoe is executed with a deep olive upper, contrasted with black around the side panels. The midsole here is colored with a gradient olive, as well as translucent ice blue around the outsole, while red speckled detailing can be found on the signature ‘shark teeth’ design. Look for the Air Jordan 5 Retro “Fear” edition at Flight Club later this month.